The June Full Moon has an intense energy due to the presence of the planet Saturn, which is also currently touring the sign of Sagittarius.Saturn is like the stern teacher of the cosmos and is always ensuring that we have done our homework and understood the karmic lessons that we have been sent to learn. The power of the upcoming Super New Moon later in the monthwill help you to know the right direction moving forward, but in the meantime it is important to focus on completion. We have all worked so hard to achieve our goals over the last few months and this Full Moon is also a cause to celebrate and to honor all that we have been through.Because Saturn is involved in this Full Moon, there is also going to be a need for us to really understand the karmic lessons at play so we can move on and move forward. While the June Full Moon will be guiding us to shift and transformso we can start a new beginning, it will also be filling our lives with positive, expansive and optimistic energy. Amazingly, it’s already time for the full moon, and this one ripens as a lunar eclipse. It’s not every year that we get to experience a full moon eclipse during Mercury retrograde time period – especially one that aligns with the sacred Pisces/Virgo axis. The moon is a marker of your emotions, and any lunar eclipse precipitates events triggered by your own thoughts and feelings. This is how and why the lunar eclipse and can catch you off guard. If you’ve been indulging in shadow - sometimes, what you dread the most, the thing you spend so much time wishing you weren’t thinking about – is brought out into the Light. Even Mercury sits behind the sun for this full moon – hiding in the shadow of the great solar I AM. The secret to working successfully with shadow is becoming aware of, but not identifying with it. Shadow is a repository of suffering, but also a storehouse of creativity. I got this mask in Bali from 'OKA' - a man regarded as a national treasure for his maskmaking skills. This mask took Oka over 12 years to create because he worked on it only during the time of full moon. You can see how the mask is portraying the act of the Sun eating, or overtaking the moon. This mask was never intended to be sold, but Oka entrusted it to me for a nominal price, because I was able to explain to him what it portrays. The planetary message for this eclipse is about realism and seeing an old situation for what it is, rather than what you thought it could be. Through completion, you are free to move on with no residual ties or baggage. The Piscean nature of this eclipse facilitates past lifetime clearing; emotional ties are completed, karma is resolved. Pisces is where you meet the accumulated results of your past. Successes and failures from all of your lifetimes flow back and forth between the conscious and unconscious aspects of your mind. Mental pain may be an overwhelming aspect of this Pisces eclipse, yet with this moon conjunct Chiron, it’s a powerful time to release and heal. Mars sits provocatively at 23 Sagittarius, squaring both the sun and the moon. The gift of the mutable cross teaches us to adjust and respond. If you can get a handle on nervous tension, this can be a dynamic time for your creativity. Claim your calm and elegant center, and make this a constructive time for tackling the truth. Embrace this rich seed time that facilitates resolution of problems. Observe your mind, talk to yourself, and become your own best friend. ​Night by night the moon has been growing in the sky and Wednesday night/ Thursday morning, the moon peaks full in Aquarius. A sign of social justice, Aquarius breaks down barriers. Many people incorrectly think that Aquarius is a water sign, but it’s actually a fixed air sign, and the 'Water Bearer' sign is pouring knowledge, not water, over humanity. The full moon of August 18 is being described as the ‘almost lunar eclipse’ because it’s not visible from any place on the earth. Because of this peculiarity, I think of it as a ‘shadowed eclipse’. A lunar eclipse addresses what you are learning, and it relates to events created through your own thoughts and feelings. This shadowed eclipse is just out of view from the earth; you cannot see it, but you might feel it. Also, the karmic north and south, which must be near the Sun and Moon in a full eclipse, are still in Virgo/Pisces, not with the Sun and Moon which are in Leo and Aquarius. The nodes are markers of life purpose and potential, so they’re very important in astrology. The nodes are paired up with Venus and Neptune at this time; Venus conjuncts the north node, and Neptune conjunct the south node. Think of the south node conjunct Neptune as a repository of karma; the saying ‘you reap what you sow’ is especially poignant for this weeks’ shadow eclipse. But, there is also an opportunity for monumental progress because the north node conjunct Venus cultivates spiritual growth. The north node conjunct Venus also develops the self-confidence required for personal love, and the Aquarius full moon inspires your fulfilled soul to love all of humanity. Experience and celebrate Divine Love as this Aquarius full moon illuminates the path of Heart, Wisdom, and Understanding. 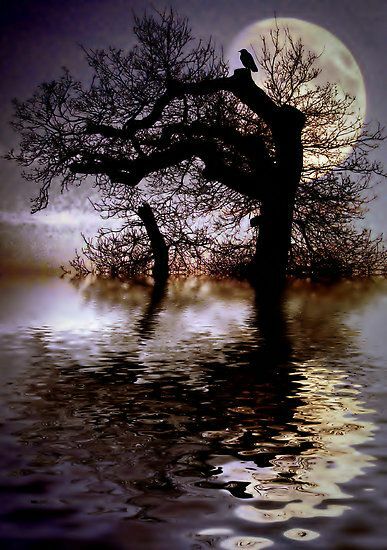 Wishing you an awakened full moon. Keep your hopes and wishes alive and feed your dreams with a breath of fresh air and persistence. May you awaken and channel the power of a fulfilled and self-realized life and may we all find a unifying core of truth that feeds the Light of love on the earth. It’s always interesting to look at the month ahead, and August delivers some powerful planetary commentary. One of the first events is that Mars leaves Scorpio and enters Sagittarius on Tuesday, August 2nd. The planets provide cosmic weather reports; Mars is intense in any sign, but Scorpio is where Mars has a stronger warrior urge. Mars in Scorpio is a ‘take no prisoners’ placement – or –act first and ask questions later. Self-discipline is the high path of Mars in Scorpio, and during his retrograde phase, many digressions came to Light – for the world to see. Mars in Sagittarius is tempered by the underlying good nature of Jupiter. Here, he is boisterous, even argumentative; but like a shooting star, he lacks staying power. However, on August 24th, Mars is empowered through a conjunction with his ‘brother in arms’, Saturn at 10 degrees Sagittarius. Each degree of the zodiac has an oracle, or channeled message and the message for 10 degrees Sag is: ‘A Theatrical Golden Haired god/goddess of Opportunity. The interpretation by astrologer Marc Edmund Jones is about the ‘expectations and promises of rewards; irresistible confidence that can lead to worthless ends’. The oracle message for this meeting of Saturn and Mars also addresses ambition and greed in the pursuit of progress. There is an aura of theatre, but also a caution to not be deceived. The Oracle speaks. . . . . are you listening? And, after spending seven months in Scorpio, Mars travels swiftly through Sagittarius and enters Capricorn on September 27th. On Election Day in the US, November 8th, Mars will be in the critical, last 29th degree of Saturn ruled Capricorn. This adds an exclamation point to the lasting nature of the decision that voters will be making on that day. What Time Was Hillary Born? I’ll give my insights on the candidates in a future blog post. So far, I have been unable to find an accurate time of birth for Hillary Clinton! There are many ‘opinions’ out there, and even one of the most reliable sources for birth data, Astro.com, is uncertain about her time of birth. Hillary’s midnight birth chart is so neat and clean; a perfect fighter for the underdog with her powerful Saturn/Mars/Pluto Leo stellium traipsing from house 12 to 1 – if only it were correct. Using a birth time of 8:02 am (rated DD – dirty and doubtful in AstroDataBank) puts her power broker stellium in the 9th house which is good for a law professor at Harvard. The chart could pass as a chief lawmaker for the USA; maybe, but not sure it’s quite right. Regardless of birth time, she does have some powerful square transits around Election Day, but, I have not yet seen a successful person with an ‘easy’ chart. It’s understood that a challenging chart breeds success, so do not count her out because Saturn squares or oppositions. Like a well-timed clock, the Leo new moon is also on August 2nd, so Mars the month begins with a trine to Mars also in a fire sign of Sagittarius. With the still active Saturn and Neptune square, we need some nice fire trine to remind the collective consciousness of what is important! On August 27th the two benefactor planets, Venus and Jupiter form a healing conjunction in the late degrees of Virgo. The hidden value of this connection is that it grants power to your words, especially because Mercury joins Venus the very next day, on the 28th. With the moon growing smaller each night, finally closing into a new moon solar eclipse on September 1st , think of late August as a time for rich endings. Another notable date for the month are the 18th when there is a full moon lunar eclipse. This is being described as the ‘almost lunar eclipse’ because it’s not visible from any place on the earth, and is not even listed in the Saros Cycles, which is an 18 + year cycle that predicts the repeating cycles of eclipses. Perhaps it is a commentary on people making empty promises, or even accusations that have no merit; i.e., a lot of talk but no real action. It can also signal a near miss on disaster. This is a ‘shadowed eclipse’ and I want to leave you with a hopeful interpretation that this shadow triggers a positive turning point for the earth; that there is hope for the environment, that people will really communicate and find a common ground, and a unifying core of truth and benefit for the good of all will emerge from the darkness. I know that you want to excel in 2016. This year has the potential to be your best year ever, and together we are going to claim it. Maximizing this powerful Capricorn New Moon is a magical way to get started. This New Moon activates transformational Pluto, and I cannot think of a better way to start the year. Remember, even NASA photos reveal that Pluto has a heart! The year has gotten off to a stellar beginning; perhaps you felt the shift. This week alone, Mercury stationed retrograde as the Sun joined Pluto on Tuesday the 5th and on Thursday, Jupiter also began his reverse trek. Retrograde planets invite you to look inside, to think before plunging ahead. They also provide a safety of cover, and often longstanding issues are resolved during Mercury retrograde time periods. Did you know that many musicians, actors, and artists were born with Mercury retrograde? For musicians, having Mercury retrograde in their birth chart helps ‘tune into’ the sounds of harmony; they learn to speak a different language. Violinist Yehudi Menuhin, singers Tony Bennett and Stevie Wonder, and instrumentalist Wynton Marsalis were all born with Mercury retrograde. Astrology is another alternate language, and astrologers Alan Leo and Sydney Omarr were born also with Mercury retrograde (me too). Learning to work with Pluto and not turning aside is one of my tips to thriving in 2016. One of the most compelling images for Pluto that I have ever received is that of a volcano. Deep inside a cavernous mound of earth is a smoldering fire and it is unknown if, how, or when the volcano will erupt. Mythical Pluto also wears a cap that renders him invisible; so we never even know when he is about. You may feel a subtle anxiety around this New Moon because of the world situation; waiting for the next big explosion. However, there is another planetary duo in the mix for 2016 – Saturn square Neptune; and this combination is doing a lot of the heavy lifting for transformation in the year ahead. Negatively, Saturn and Neptune can be likened to the masses following an evangelistic leader into the gates of hell; similar to the way old western hunters knew that if they could get the lead buffalo to jump off a cliff that the entire herd would follow. But, Saturn square Neptune holds hope for justice and redemption; the ‘bad guys’ (Neptune) get caught and even punished (Saturn). First, the dark side must be exposed. It won’t happen overnight, but know that there is a holistic process in play now. The Saturn/Neptune square will ignite justice. It urges you to speak your truth, but you also must hear what others have to say, and both are empowering. I agree, the ground feels a bit shaky at times, but justice will prevail. You want to thrive today, tomorrow, and in every day of the year ahead. Affirming that you will Survive; you will Thrive, and enjoy the ride! How exciting it is to look up in the sky and see the clear, full moon. We now welcome the Gemini full moon. One of the magical things about the moon is that she is ever changing in the sky, yet she is a marker of constancy. When you get in tune with the moon, you can know that life is a process of change and growth; however there is also a process of rhythm and substance to it all. The sun is now in Sagittarius, the sign of ‘the Explorer’. Sagittarius aligns with the teachings of the 9th house of astrology – the house of Wisdom and Higher Mind. As you explore, you move beyond your previous limitations and your mind expands as you learn about new lifestyles. Sometimes the road to growth gets messy as you encounter potholes, bumps, and mud. You may meet people whose patterns and beliefs are not in alignment with yours. It’s all part of the process. A baby enters the world surrounded by blood and amniotic fluids. Birth is rarely neat and tidy, but it’s magical. And so are the signs of Sagittarius and Gemini. This season invites you to step out of your ‘zone’ and exercise your natural curiosity. Gemini, the air sign, also teaches that you can reach out through mental exploration. With Venus and Mars also in the compatible air sign of Libra it’s time to think before you leap. However, the reward for making the jump is exponential at this time. The Universe invites you now to activate your curiosity. One of the gifts of Gemini is to tread lightly. Think of Mercury, the Messenger and ruling planet of Gemini. Mercury is known for brilliance, and this full moon at 3 degrees of Gemini activates a unique degree of the zodiac -one that’s associated with breakthroughs in technology. One of the ways astrology works is that you can look to the past for clues as to what will develop in the future. Looking back in time, we see that Neptune and Pluto were conjunct at 3 to 5 degrees of Gemini in the late 19th century. These were years of magical (Neptune) transformations (Pluto) in technology. Advances such as X-ray technology, the internal combustion engine, and the telephone were all birthed between 1892 and 1895. It was also during these years that Nicolai Tesla introduced alternating current generators. The 21st century has brought a dramatic change in the price of oil. Is it possible that one of the reasons for this change in the market has to do with new technologies that make oil no longer a vital commodity? I predict that before the end of 2016 you will hear about technological advancements that are smart, safe, and make life better for those who have access. I will also not be surprised if it’s revealed that these advances are based on discoveries made in the late 1800’s. Remember, you are witnessing the birth pangs of a great new consciousness. Yes, it’s noisy, messy, frightening at times, and ‘in your face’. But, it’s also miraculous. The stars teach you now to retain your childlike curiosity; they invite you to explore your world, and exponentially expand your reality. We’re solidly into the season of Scorpio now, and on Wednesday, November 11th we welcome the Scorpio new moon. It’s always helpful to revisit the sun sign teachings to fully understand the Universal message. Whether in the northern or southern hemisphere, the season of Scorpio is a time of transformation. True change requires self-examination and commitment, especially during this season of life, death, and rebirth. Like the caterpillar changing into a butterfly –transformation is a game that you play for keeps. Word crafters define it as: ‘a thorough or dramatic change in form or appearance’. Physics expands the definition to include ‘the induced or spontaneous change of one element into another by a nuclear process’. The most profound lesson about Scorpio that I have come to know with certainty is that Scorpio has a multitude of gifts, but also sees the nuclear meltdowns. 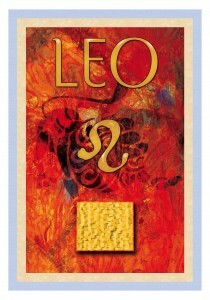 Scorpio receives the most brilliant Light, but also bears the disparity of what’s missing in a perfect world. My next insight is about darkness: it’s not personal. You are dancing, for a time, in this world of color, and the way it works is that in order to shine, the Light pushes against an opposite force. We get caught up in cycles and the ego wants to personalize any situation; but the best decision that your ego can make is to be like a butterfly and move toward the Light. Let nature be your guide. As a three tiered sign, Scorpio connects to the earth through the scorpion and the serpent. He then learns to fly high like the Eagle, and next rises to become the Phoenix. And, the Phoenix is a great teacher for all. Throughout the ups and downs of your life, it’s important to always remember the rebirth part; some people spend weeks, months, and even years in sorrow. Hand in hand with the notion of rebirth is that of Ceres, the goddess of the harvest. Ceres is also honored as the goddess of grains and agriculture; the word ‘cereal’ is related to her name. Ceres is remembered as the mother of Persephone, the bride of Pluto. Lord of the Underworld and the planetary ruler of Scorpio, Pluto abducted Persephone and made her his bride – in hell. Mother Ceres experienced inconsolable grief at the loss of her daughter, Persephone. We experience winter because of the sorrow of Ceres – the earth becomes barren as she mourns the loss of her daughter. However, every year, in rhythm with the cycles of the earth, Ceres must also surrender to rebirth and awaken to spring. Even the great Goddess must move on. Scorpio is also addresses kundalini energy, the vital animating force within the human body. Kundalini energy is often shown as a serpent that sleeps at the base of the spine, and when awakened, it rises up through the body, clearing the energetic chakras. Moving in a spiraled, two channel system, similar to human DNA, kundalini energy rises up to open the 3rd eye and crown chakras, granting illumination. Kundalini is also associated with sexual awakening – another link to Scorpio. This is just a brief overview of a deep and ancient teaching, so, if you want to learn more, use this Scorpio new moon to launch your quest. Lastly, what a joy that this Scorpio New Moon lands in the 11th month, on the 11th day –another notation of balance and an invitation from the Universe to step into your highest energy. The double 11’s stand tall as two strong pillars, representing a gateway or portal between worlds. The number 11 is also a symbol of the twin strands of human DNA, and is considered by many to be a time of spiritual activation. 11: 11 is a code that activates evolution and consciousness. It’s another symbol of transformation; irrevocable change for the better. Even the mainstream has recognized the power of numeric codes: U.S. President Woodrow Wilson first proclaimed Armistice Day for November 11, 1919. And, the cease fire that ended World War I took effect at 11 a.m. Paris time on November 11, 1918, ‘the eleventh hour of the eleventh day of the eleventh month’. Happy New Moon. Wishing you Peace found in the code of 11:11, the power of the Eagle, the wisdom of the serpent, and the clear vision of the Phoenix. Fitting with not only the season, but also with the cool water sign of Scorpio, the full moon of October is traditionally called the ‘Full Frost Moon’. Indeed, if you live in the far north, this will be your season of a hard frost; the one that changes the landscape from green to icy brown. This year, however, Jupiter, Venus and Mars sitting together in Virgo invite you to celebrate in abundance, and to find the place of gratitude in your heart. In a beautiful spiral of time, Venus and Jupiter are joined in the same degrees of the Uranus/Pluto conjunctions of the 1960’s – repairing, gracing, and blessing the energies that were initiated during those years. Venus and Jupiter, the benefics of astrology are helping to heal a wound that was opened up during the initiatory days of the 60’s. Scorpio and Taurus, the signs of this full moon live in the ‘fixed axis’ of astrology. All together there are 4 fixed signs; Taurus, Leo, Scorpio, and Aquarius. These 4 signs are all very different, but what they have in common is that they concentrate and solidify energy. And, it is through concentration and focus that gives the fixed signs power. It is during the times of the fixed signs that things become consolidated, commitments are made and fulfilled. And, another benefit of the fixed axis signs is that your work will be long lasting. This Taurus full moon is about creating something of substance. You may have to go the extra mile this week in order to manifest your project, but take a lesson from the freight train, another example for Taurus, once you get going, you become unstoppable. Scorpio inspires you transformation; Taurus consolidates. You may have to get out of our own way and let the child of your imagination claim its breath of life. We’re leading up to the Halloween season, and some people like this, and others don’t. Halloween is on a Saturday night this year, so, this energy being amplified. And, as Saturn and Neptune jockey into their long reaching square, this is an important time to think about energetic maintenance. One of the shadow sides of Scorpio is self-destructive tendencies, so, it’s a good week to be mindful that the high, positive energy of Scorpio is that of the eagle, or the phoenix, and this is a great week to align with protective and positive avatars. It’s gonna get very Scorpio like, and I’d just send out a reminder that energy is real; it does matter, and it’s a good time to be proactive keeping your field clear. And, for sure . . . .
breathe deeply, and count your blessings . . . . .